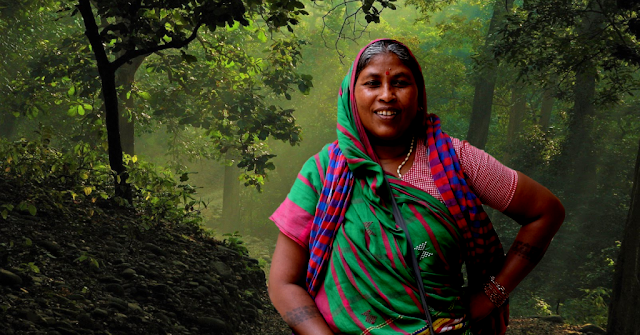 Two Uttar Pradesh forest rights leaders belonging to the All-India Union of Forest Working Peoples (AIUFWP) Sukalo Gond and Kismatiya Gond have reportedly gone "untraceable" even though the state government claims both were released over a month ago. Belonging to the Sonbhadra district, the police couldn't "trace" them and produce them before the Allahabad High Court at the second hearing of a Habeas Corpus petition on July 9. Revealing this, a human rights site, Sabrang India, run by well-known rights leader Teesta Setalvad, reports that the state government said in the court the police gave the two women a challan under Section 151 police and were released soon after. "However", it adds, "It appears that at first the government made efforts to get the hearing postponed, but when the lawyers for the petitioners expressed their concern for the life and safety of the two women, it finally made a shocking disclosure ‘On Oral Instructions'." "No details for the 151 challan were provided, nor the details of their ostensible release shared", the report quotes advocate Farman Naqvi, appearing for both the two women, as saying. The lawyer demanded in the court that their release should be put on an affidavit, as "they are not traceable for over a month after their clandestine arrests on June 8." Section 151 is a common offence imposed on peaceful protesters. It relates to continued assembly of five or more persons after orders for their dispersal have been given. Setalvad's NGO Citizens for Justice and Peace (CJP) and AIUFWP moved the court seeking the "immediate production and release of illegally detained" adivasi women leaders Sukalo and Kismatiya. While Sukalo is treasurer of AIUFWP, and Kismatiya is secretary of a local Forest Rights Committee. The two, says the report, were arrested in a "clandestine manner" from Chopan station, Sonbhadra district, just as they were returning after a meeting state forest minister, Dara Singh Chauhan, and the forest secretary in Lucknow on June 8. The report says, adivasi women of Sonbhadra who are a part of a "peaceful struggle for land rights, and are being "systematically bullied and harassed". Many of them have "fake cases" filed against them on "false or trumped up charges." They have been fighting, with CJP and AIUFWP support, in the demand for implementation of the Forest Rights Act, 2006. Ahead of the arrest, Sukalo was fighting for the land rights of adivasis of Lilasi village. Says the report, "First, on May 18, the UP police picked up and detained adivasis from Lilasi and made them go through harrowing procedures for about a day. Later, on May 22, they entered the village, completely unwarranted and assaulted women and children, in which Kismatiya sustained severe injuries." As Sukalo constantly campaigned on how the village was turned into a police camp, "bulk FIRs were filed against the villagers on the pretext of an 'afforestation project', the details of which wasn’t known to anybody", the report says, adding, "Even though Sukalo wasn’t present during the episodes of assaults by the police, and her name was nowhere mentioned in FIRs, she was arrested from Chopan station on June 6 in a clandestine manner when she and Kismatiya and were returning after meeting the state forest minister." The report claims that Sukalo was the main link between these villagers and others outside the area. "These villages are located in the far-off interiors and not even well connected by roads. Mobile phones are scarce. Arresting her is a clear method to intimidate these fierce Adivasi women so that they stop speaking up", it adds. On AIUFWP and CJP’s intervention, NHRC issued a notice to the district magistrate of Sonbhadra to look into the violent onslaught of UP police and forest department. "However", saus the report, "The feudal nexus of the government, the forest department and big landholders is carrying on its oppressive onslaught with impunity." This is not the first time that Sukalo has been arrested. In June 2015, when forest rights movement was gaining momentum in Sonbhadra, the state government "resorted to violence to crush the peaceful protest of people against the Kanhar dam in a brutal and bloodied manner", says the report. Arrested in the wee hours of June 30, 2015, along with Roma, AIUFWP leader, they were sent to Mirzapur jail. However, she continued her struggle within the four walls of the prison. She, along with other inmates, wrote multiple letters to authorities and sat for hunger strike to demand basic facilities as well as land rights outside.